Whether you're caring for your loved one from down the street or across the country, we can help. Our non-medical homecare services allow your loved one to safely remain at home as long as possible. We are available for as many hours a day as you need, up to live-in care. We have someone on call to assist you 24 hours a day, 7 days a week with your scheduling needs. Is home care covered by health insurance, Medicare or Medicaid? Certain services of home health care are covered by part B of Medicare. Some individuals may qualify for Medicaid assistance. Most non skilled, companion homecare services are not covered by Medicare or insurances. Coverage can be covered by long term care insurance and private pay. What training does your staff complete? Innovative Healthcare caregivers are trained in accordance with state licensing rules and regulations. All employees who work with us have a minimum of one year of certifiable experience, are registered with the state of CA as home care aides, DMV checks, TB testing, fingerprinting, have provided satisfactory references prior to employment and are fully insured and bonded. Staff members are committed to serving each person with respect and care. What type of assistance do we need? Families and friends assume an incredible amount of responsibility when caring for an aging loved one. Family and friends can usually help for a short time, but extended care takes the expertise and commitment of knowledgeable professionals. As you and your family members continue to evaluate the level of care you or your loved one need, consider some of the following activities and whether you or your family member in question can independently manage these responsibilities. If the answer is no, this can also serve as an indicator of when you or your loved one may need home care. A number of options are available for finding help at home. It is often best to start by assessing your personal needs, or your needs as a caregiver and the needs of the person you are caring for. Personal Care: Assistance is needed with dressing, bathing and taking medications. Household Care: Help with grocery shopping, cooking, cleaning or doing laundry. Health Care: Make medical appointments and drive to the doctor and drugstore. Meet with doctors, care managers and assist others to understand what care is needed. Manage crises or develop care plans for sick family members. You need or regularly help transfer someone in and out of bed, assistance with physical therapy, injections, feeding tubes or other medical procedures. You are or need a designated "on-call" family member for problems. Emotional Care: You need or provide transportation, comfort and companionship for your loved ones. 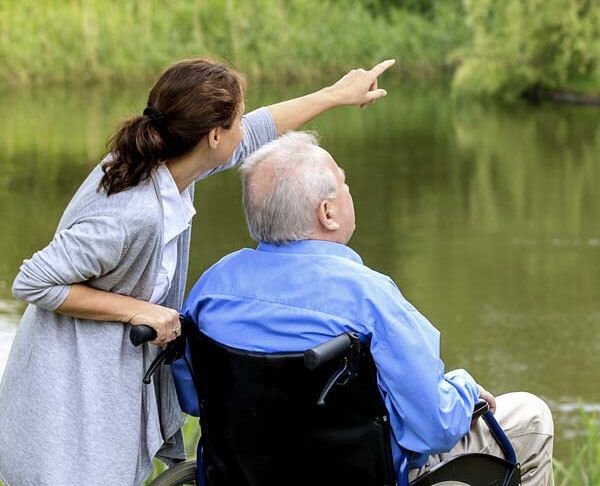 Home care services should be tailored to meet each person’s unique needs.When selecting home care services, the list below can assist in understanding a person’s behavior and help you determine the type of care needed, while still providing them with independence and dignity. Managing finances: Are bills being paid late or being forgotten altogether? Errands: Are running simple errands, such as grocery shopping, doctor appointments or a trip to pick up prescriptions at the pharmacy becoming a challenge? Post surgery: Managing even the simplest daily activities after coming home from the hospital after surgery can be a challenge. Memory loss/Dementia: A gradual or sudden loss of memory and language skills may result in evasive answers in an attempt to cover the inability to remember words, places and people. Diminished hearing: Your loved ones don’t always answer the phone or takes a long time to pick up when you call… even though they’d always answered with no problems before. Diminished sight: Is your loved one experiencing falls? Have you noticed a hesitance in his or her walk? Falls: Unexplained bruises, often accompanied by explanations for cuts, bruises or broken bones that don’t ring true. Incontinence: Clothing stains; odors emanating from furniture, clothing or automobile seats. Self neglect: Poor eating habits and inadequate nutrition/hydration; failure or inability to follow through on physician’s instructions, medicine dosages, etc. Won’t bathe: It could simply be that they are afraid or not able to get into the bath and are too embarrassed to ask for help. Resists doing things that he/she always liked: Such as playing cards, singing or dancing. This could be a sign of depression, or a sign that the capability to do these activities is slipping. The inability to do what they used to do can trigger depression. Won’t get out of bed: This could be a sign that they don’t feel well, but can also be a symptom of depression. Won’t take his/her medicine: They might be experiencing some side effects to a medication. Check with the doctor or a pharmacist as to what the possible side effects are of the medicine they are resisting and then check for these side effects. Makes excuses not to attend family or other special events they used to enjoy: Investigate if there is something about the physical environment that bothers them – too much noise, harsh smells or whether the temperature is too hot or cold. Are you wondering if our services are right for you and your family? Please contact Innovative Healthcare Consultants for a free phone consultation. To provide personal care and incidental activities of daily living to clients in a home setting, assisted living or a Skilled Nursing Facility. Assist the client with activities of daily living such as bathing, grooming, toileting and nutritional needs. Assist client with ambulation, transfer and/or range of motion exercises. Assist client with instrumental activities of daily living such as shopping, homemaking , preparing meals and maintaining a clean, safe physical environment. Perform delegated tasks as instructed by the Care Manager or direct supervisor. Perform acceptable standard healthcare practices. Observes and reports clients condition and safety hazards to supervisor and Care Manager in a timely manner. Documents observations and activities in an accurate, complete and timely manner. Possesses organization skills necessary to carry out visit/shift and to complete assigned tasks. Provides requested documents to keep employee information current. Protects client health information according to Innovative Healthcare policies and procedures and federal and state law and regulations. Maintains professional appearances, attitude and demeanor while on duty. Performs other miscellaneous tasks which would normally be required of a companion caregiver. Provide health records to supervisor, i.e. TB within the last year (If test was positive, provide chest X-ray indicating negative results). Pass the Corporation’s evaluation of a background check. Ability to effectively communicate in English with all levels of the healthcare team. Flexibility to travel to assignments. Able to carry bundles up or down stairs and lift with or without assistance of at least 10 lbs. Able to stand, bend, squat, kneel, and reach freely and assist clients with standing and walking. A registered nurse or clinical social worker who assumes responsibility for assessments, care coordination, advocacy, and related case management activities for an assigned group of clients. Inherent in the position is the assessment of patient needs in conjunction with the client and/or family, physician, and ancillary health care providers. The goal of the activities is to ensure quality, appropriateness, and cost-effective services for the assigned clients. The employee is responsible for commitment and understanding of the Mission and values of the organization. Interviews clients and their families in the appropriate care setting, such as hospital, home or other facility. Obtains and documents assessment information utilizing approved procedures and forms. Gathers appropriate information related to the client from a variety of sources, which include but are not limited to insurance companies, financial planners, attorneys, or sources significant to the client. Identifies high risk factors, barriers to goals, and strengths that will assist the client in achieving goals. Reports and/or assessments are clear, accurate, and based on comprehensive data collection. As appropriate, develops an accurate, written, cost/benefit analysis, which identifies a variety of ways to meet the clients needs. Identifies both private and community resources and incorporates them into the plan. Providing the client with appropriate supplementary information. Arranges, directs, and monitors resources as they provide service to the client. Obtains necessary authorizations and approvals to assure appropriate services and reimbursement. Acts as a client advocate when disagreements arise with caregivers, family or agencies providing care. Provides frequent, timely reviews of the plan with the client and re-evaluates and modifies the plan based on client outcome. Assures quality of services by gathering information from direct observation, telephone or in writing all resources involved in the client plan of care. Is available or makes arrangements for coverage of clients at all times. Participates in quality management studies as appropriate. Documents progress and pertinent information in the client record with each billable service and as necessary to provide complete information to other case managers who may be involved in the clients care. Attends case management rounds as scheduled. Acts as a positive role model for the company when dealing with clients and the public. Accepts clients as assigned. Communicates to supervisor any conflicts or difficulties with client assignment. Acts as a covering case manager as assigned. Answers all pages, telephone calls or communications promptly and courteously. Any changes in the plan of care are appropriately communicated. Vll. Performs other related duties as assigned or requested. Job description statements are intended to describe the general nature and level of work being performed and are not to be construed as an exhaustive list of all responsibilities, duties, and skills required. Management reserves the right to reassign duties as needed. Exposure to bloodborne pathogens that requires use of personal protective equipment. Minimum Experience: At least two years of case management experience or equivalent. Preferably with the senior population. Working knowledge of the provision of health care in a variety of settings. Knowledge of community resources, insurance and care delivery systems. We pay time and a half for shifts worked on the following holidays: (New Year’s Eve and Day, Easter, Memorial Day, Independence Day, Labor Day, Thanksgiving Day, Christmas Eve and Christmas Day. We work around your schedule. You can choose your work hours and number of hours to work. There are positions for full time, part time, day and night shifts and 24 hour live-in shifts. We offer health, dental, and AFLAC insurance after six months and you need to work more than 25 hours per week. Geographic diversity. We try to place you close to home to eliminate long commutes. We service adult clients of all ages. Starting pay at $9.75 per hour with your first increase within three months contingent upon a positive performance evaluation. Do you have additional questions? Call 760-731-1334 or 877-731-1442 to speak to our Human Resources or Caregiver Coordinator. We look forward to receiving your completed application soon! Copyright © 2016 Innovative Healthcare Consultants. Design by Yellow Interactive.